Locational Advantage : The hotel overlooks the valley and downtown. 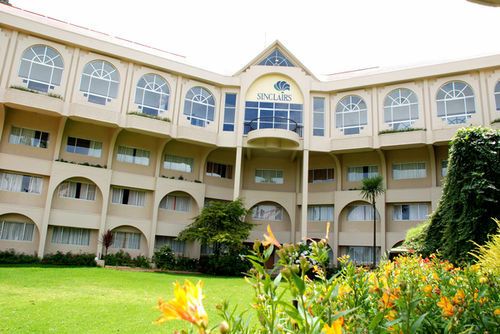 Hotel Sinclairs is one of the popular hotels in Ooty and is the highest situated hotel in the South. The hotel is located close to the Railway station and the Bus stand. The hotel offers a beautiful view of the "Blue mountain Ranges" and the Charm of Ooty's township. Hotel Sinclairs provides friendly and homely atmosphere to its guests. The hotel offers all the modern amenities and services for a comfortable stay. Hotel Sinclairs offers a total of 88 beautifully appointed rooms and Suites. These include 84 Double Rooms, 44 and 4 suites. All the rooms are equipped with modern amenities like satellite channel TV, attached bath with hot and cold water and room services. The hotel has 3 banquet halls that can accommodate 250, 40 and 20 people. 24 hrs H/C running water, Games Room, Spa, Meditation & Yoga, Gymnasium, Car Parking, Car Rental Service, Doctor on Request, Laundry Service, Safe Deposit Box, Safe Deposit Locker with Cashier, Travel Desk, All Major Credit Cards Accepted, Restaurant, Bar, Power Backup.